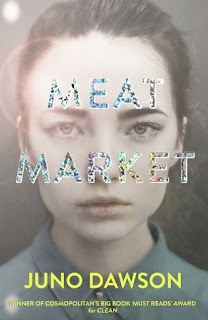 With grief still raw for all of them, Milly is facing the additional awfulness of having to see Luke again - gorgeous, gorgeous Luke, who she had a fling with last year, and who she made a total fool of herself with - or so she thinks. What's going to happen this time? What's more, things between Milly, her sisters and their mum are rocky - Leonie is being tempestuous and unpredictable, Elyse is caught up with her new boyfriend, and Milly feels like she just doesn't know how she fits in any more. 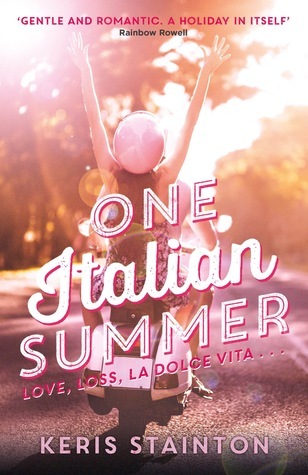 Over one Italian summer, can Milly find a way back to the life she once had? 5 Words: Family, friendship, love, sisters, loss. But it was also utterly heartbreaking. It was quite hard for me to read this book at times. This could have been me and my two sisters if the ambulance hadn't arrived so quickly, and that hit so close to home that I ended up in tears a few times and even had to put the book down and step away. The relationships between the sisters are absolutely perfect. They love each other, but they also snipe away at each other and nit-pick and tease. I loved the mother-daughter relationships too, with the care and affection and the misunderstandings. This family was real. I would definitely recommend this book to everyone, but make sure that you have plenty of tissues at the ready because there will be tears. I can see why this book was difficult for you at times. I think I'd already have trouble with it and have never been in a similar situation. The story sounds great though. It's the kind of story I like to read every now and then even though it messes me up emotionally.